What has motivated you the most to start working out and/or dieting? Home Meal Plans What has motivated you the most to start working out and/or dieting? “I’ve been skinny my whole life, every year I try to work out, etc, but end up lacking motivation to continue. People think I don’t eat but they don’t know that I eat like a pig everyday (at least 2000 calories, which is a lot for me at least). I seriously wish I could find some form of motivation that would keep me going continuously, but I don’t know what that is. One problem is that I don’t care at all what other people think about me, therefore the only motivation I have is myself. I’m sort of bipolar on the subject of gaining mass. I think it’s a completely useless thing to do if it’s just for getting people’s attention and social recognition, but at the same time I’m positive I would be much happier with myself if I could be fit and healthy. There’s loads of info on the net for dieting and exercising (your blog being a very nice source). However, there isn’t much information on how I can get motivated by myself other than watching videos of Arnold on youtube. Maybe you can give me your own experience, that might be of some help. This email from Alex, captures the very essence of Skinny Muscles. Motivation (or lack of it, in my case) to start working out and dieting is the reason why I (Mark Alexander) created this blog. Since Alex is asking about my own experience, I am going to base my reply (and this post) on just that: my own experience about working out, gaining weight and staying motivated. Being skinny has been (and still is) a big part of my life. It has affected not just my (obvious) physical appearance but my character and the way I see the world, and those around me too. At one point I was convinced that I was an anorexic and had food only if I felt like I was going to faint. Even now, I have to make an effort to eat. Food and eating have never been a big part of my being and I have always regarded them as a burden and inconvenience. Unfortunately, you can’t put on weight if you don’t eat or just consume the bare minimum amount of calories. That’s a fact and there is no way around it. Eating 2000 calories a day may seem like a lot but in actual fact – it is not. You need to consume enough calories to cover the normal functioning of your body plus enough “leftovers” for weight gain. Please refer to my post “Gain weight – diet basics for skinny guys” to calculate your daily calories’ needs. Most weight gaining diets require preparation, a lot of eating and changing your habits. These are also the reasons why you loose motivation as soon as you start and you get back to your normal routine. I suggest eating 2-3 good healthy meals a day and supplement the rest with protein shakes. They pack a lot of nutrition and calories and come in different flavors to suit your taste. That’s my “secret” and that’s how I’ve managed to gain almost half of my weight. I went from 130 to 198lbs (60 to 90kg) in a couple of years. You shouldn’t stay on protein shakes for long periods of time. You are not an athlete or a professional bodybuilder and you need to give your body a rest. I normally do 1-2 months on and then have a couple of months break eating at least 3 good meals a day. It’s important to eat enough food in your time off protein shakes to provide your body with enough calories and nutrients it needs to function. Otherwise it will be “eating” into whatever weight you’ve put on. You should also think about exercising and working out. Otherwise all these calories and protein will store as fat which is quite difficult to get rid of and convert into muscles. Start with a bodyweight workout that’s not too demanding and commit to it. Don’t make it too hard for yourself though, otherwise you will loose motivation and get back to your old ways. Do enough to challenge your muscles but don’t overdo it. I made the mistake of not working out enough and ended up with a layer of fat around my waist. I am trying to get rid of it now but it’s not easy. You are right not worry about what other people think. It is up to you to change your body and when the time is right, you will do it. The key is to set yourself realistic goals and leave yourself plenty of time to achieve them. Don’t start with demanding diets and workouts. Do baby steps and build on your achievements. I also have My Fitness Pal app on my mobile. It’s a great (and easy) way to keep a track of your calories each day. Just set your daily target and enter the meals as you go. I find that to be quite motivating. You are right to read fitness blogs. 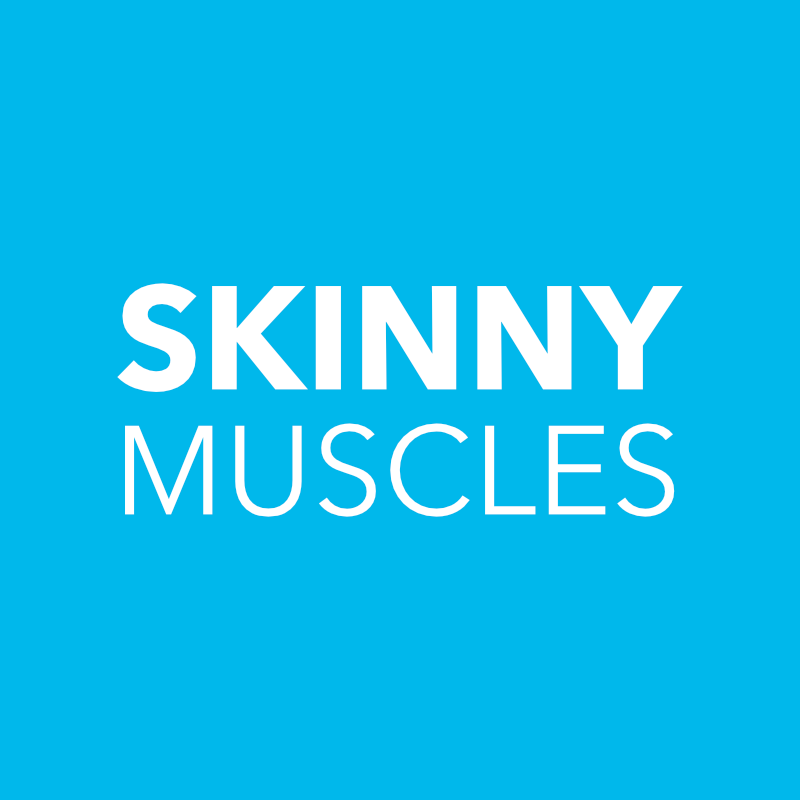 They don’t have commercial agenda (in the case of Skinny Muscles anyway) and are driven by the personal experiences of their founders. In that sense they are easy to relate to. Reading about somebody else who is in the same position as you is more motivating (and closer to your own experiences) than reading about a Hollywood superstar who rely on personal trainers and chefs to get into shape for their new movie. I hope that you find this reply helpful. Just remember that it takes time to change your body and you won’t see results quickly. Don’t let that put you off. Make small steps and be patient. Don’t jump on the bathroom scales every day. Restrict your weigh-in to once a week. If you gain 1lbs (0.5kg) a week, you are on the right track. If you are gaining less, you need to eat more. If you are gaining more than a pound a week, you need to eat a bit less. Remember motivation derives from achievement. Set yourself a number of small but progressive; targets and reward yourself each you reach one of them. Ask anyone the simple question: How to gain weight? and I guarantee you that their answer will be just as simple: Eat more! It is stating the obvious, but you do need to eat more to gain more. Eating matters.